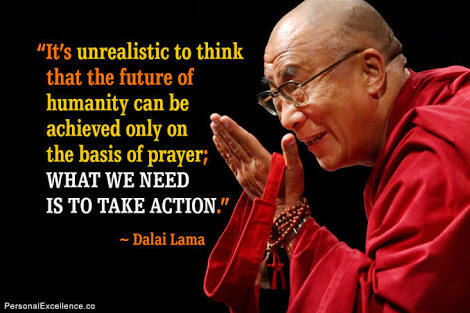 His Holiness the Dalai Lama is calling for action. He tells us that we cannot simply pray for change, or wait for the government to solve the problems we face, we must each act at an individual and community level. We have accepted his challenge, we wonder if you will too. Yesterday, we posted our first message. We received feedback privately (which we really appreciate!) that our post was too long, too superficial, and confusing. We wonder if you notice the contradiction there? We were confused! We saw that our post was seen by many but liked by few, shared by fewer, and commented on by none. We wonder if PEACE, the clear goal of our movement, is really something people want. How do you expect that we can accomplish PEACE by trying to explain our human condition in 140 characters, a’la Twitter?! We have 17 days left to get this discussion started and it cannot be carried out only in emoticons and short forms, nor by summarizing thoughts in easily-sharable memes. We wonder if you can spare the time. A few days ago, like many other people, I covered my profile picture with the image of the French flag after a few lunatics detonated some bombs shouting ‘Allahu akbar!’ in Paris. Even I, overcome by a wave of emotion and therefore lack of reflection, took ‘action’. Mission complete? I woke up to a message from my Muslim friend asking me why I was mourning for those in Paris when I had not shown the same solidarity for those that had died in Syria and Lebanon – or Iraq, or Afghanistan. I told him it was because I had many French friends, but my answer made me realize something very important: real impact would be bringing all of those affected by war – all of us – together. But I didn’t know how I could get access to everyone. Changing our profile picture is empty action. We think we are showing solidarity but we are really demonstrating that we don’t know what else we can do. Even worse, this kind of social demonstration gives politicians moral permission to escalate war, sending our friends, brothers, fathers, boyfriends, and husbands off to die, and, naively, we don’t even realize that we actually asked for it. This kind of show of ‘solidarity’ is nothing more than empty instant gratification; it makes us feel like we’ve acted but we never reflect on the real IMPACT of that action. And hey, it looks great, doesn’t it? This message from my Muslim friend reminded me of the ideals I had when I was 10 years old, when I still believed that everything was possible and that I could do something really great with my life. I remembered a time, just before Christmas, when I was filled with hope and excitement. Our house was prepared for celebration, it was a happy and cheerful place. But one day, I went into the kitchen and I found my mother crying. I asked her, ‘What happened?’ and she answered me, ‘Somebody killed John Lennon!’. True story. That memory was like a trigger, I knew what I had to do. I realized that I did have access to everyone affected by war, all of us, through Facebook, and that together we could change this world. Full of hope, we launched SexiLeaks the very next day. We had no experience starting a project of this magnitude but we were driven by those same ideals that I had felt as a 10-year old boy. We all still have those ideals inside of us, no matter how deep they are buried. 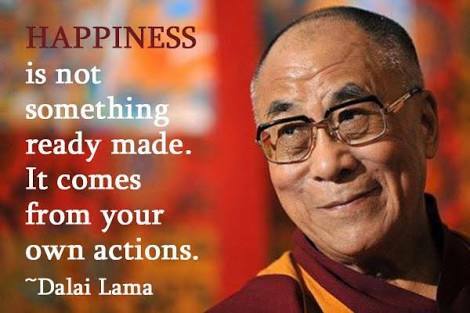 We can either choose to act to make them a reality or continue to live our li(v)es, unhappy and frustrated, herded like a pack of sheep, or a mob of zombies, because we refuse to act in order to create our own destiny. I wonder how long it will take us to go through all of the flags of the world, how long before we super-impose a white flag over our Facebook picture. Share, subscribe, comment, and invite your friends to do the same. We want to save this world but we can’t do it alone. Will you JOIN US? 17 days left. Previous Previous post: Day 1 – 18 days left: What the F*CK are You Talking About? I thank those behind sexileaks for such a real platform. A place we all can go to to discuss Peace and love. You would think it would be easy to sell.